Open the module that you have created called modFunctions. 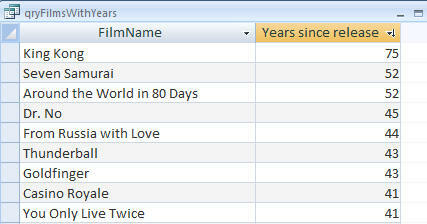 In this module, create a function called YearsSinceRelease which shows the years since a film was released, using the field FilmReleaseDate in the table tblFilm. There are some notes on how to do this below! When you are happy that your function works, save and close the module.